Imagine planting a vegetable garden once: perennial vegetables allow you do do just that. I fell in love with the idea of perennial vegetables years ago when I discovered the ability asparagus has to come back year after year. That doesn’t mean I had success growing it – not in Florida, at least – but the idea of planting something and getting harvests again and again was appealing to me. 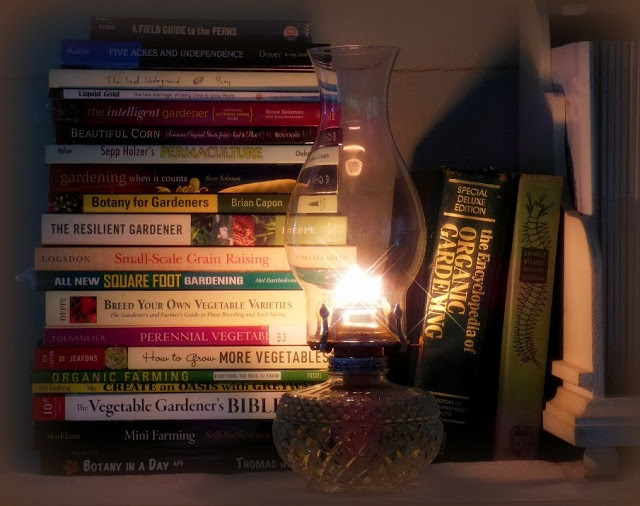 Unlike beans, tomatoes, corn, broccoli, lettuce and the many other vegetables most of us rush to plant in the spring, then rush to harvest in their season, perennial vegetables allow the gardener to pace himself. Sweet potatoes were the first perennial vegetable I had luck with. Though normally grown as an annual, they’re perennial in South Florida where I grew up. When some of the petunias gave up, I planted sweet potatoes in her front planter. They rapidly took over, filling the space with green rambling vines. Mrs. Campbell was not happy with me when she returned home. The potatoes were harvested and she replanted ornamentals… but something funny happened. Vines kept popping back up. Every little piece of root left in the ground sprouted. I think it took her a year to eradicate them completely. But hey – that’s easy food, right? Maybe it wasn’t in the right place (sorry, Mrs. Campbell) but they are a wonderful perennial vegetable. 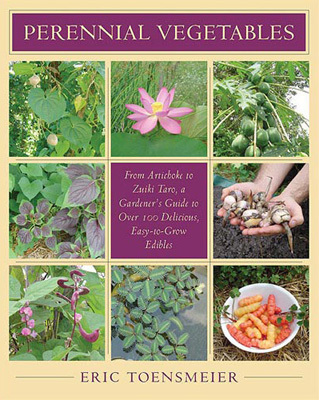 When I discovered Eric Toensmeier’s book Perennial Vegetables: From Artichokes to Zuiki Taro, A Gardener’s Guide to Over 100 Delicious and Easy-to-Grow Edibles I spent hours reading and thinking about the possibilities. And then I started hunting down and planting many of them. I’ve grown chaya and kangkong, horseradish and yacon, Chinese yams and Chinese water chestnut… there’s a wonderful world of perennial vegetables once you get started. Perennial Vegetables is a great book, filled with excellent research and a mouth-watering variety of long-term edibles – many of which will be entirely new to the reader. Some are temperate species, many are tropical, and many will grow in-between climates. Eric has grown many of these vegetables in his Massachusetts garden and I grew many of them in Florida. There are selections for shade and for water gardens. There are beans and roots and leaves and shoots and plenty of great ideas. If you don’t own this book and you love the idea of planting a garden that lasts and lasts and lasts, I recommend you get a copy and get inspired. This book is well worth the low price of admission – you’ll pay it back in spades after planting some of these prolific perennials. IT IS HERE! Compost Everything now in paperback form! I love this book. Perennial vegetables and fruit consume more of our yard each year. The site does have a text search widget but most of the time I don’t remember any search terms. Which also means using site: search in a search engine is also useless. Scrolling through the archives is sometimes the only way to find what I’m looking for and now it’s not available. That was an accident, I’m sure – let me see if I can fix it. Thank you very much for the heads up. I’m very interested in checking out this book, but we just moved to Green Bay, WI. Would it still be a worthwhile read for this crazy climate up here? Been wanting to pick up this boom. Thanks for the reminder!! Just ordered! I think you’ll dig it. One of my favorites. We would love to send you a couple of Aspagus crowns from The Vale of Evesham, where I grewup and we now live, but I don’t know if it’s possible. Evesham is a market gardening town in England. It is where most of the fruit and vegetables came from for big houses and hotels in the Victorian and Edwardian times, and before. It now has protected name status, like champagne.